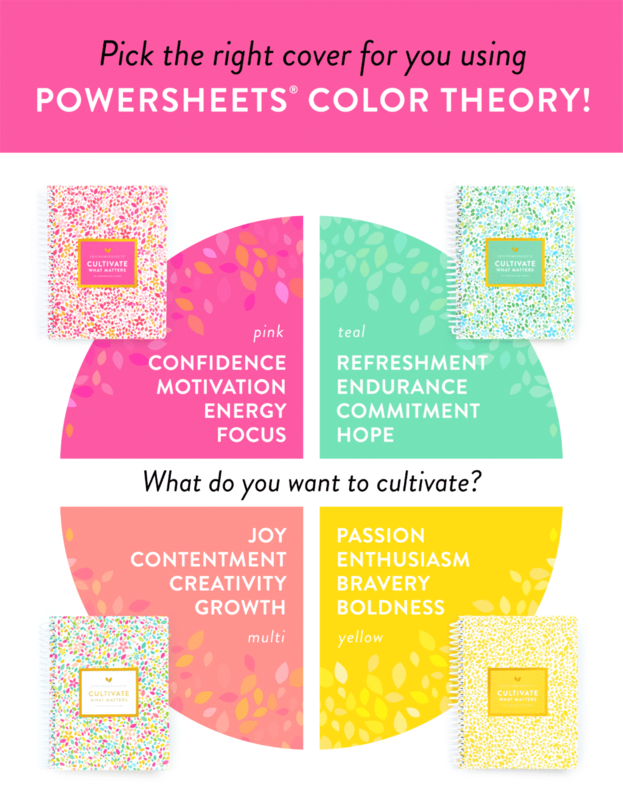 If you’ve read Sweetpea Lifestyle for a while now, you know how much I adore Powersheets. 2019 will be my fifth year using them, and they just get better and better. Not sure what Powersheets are?? 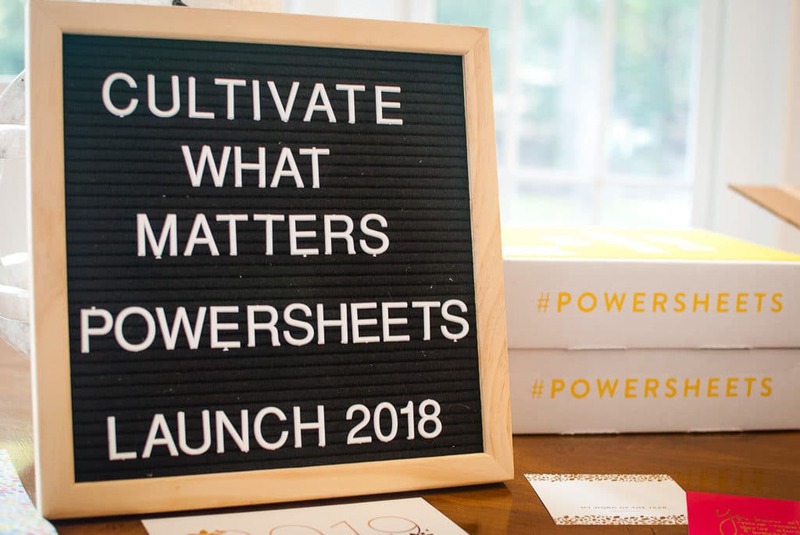 about PowerSheets, head to my most recent blog post! They are just absolutely gorgeous this year, even though I say that every single year. 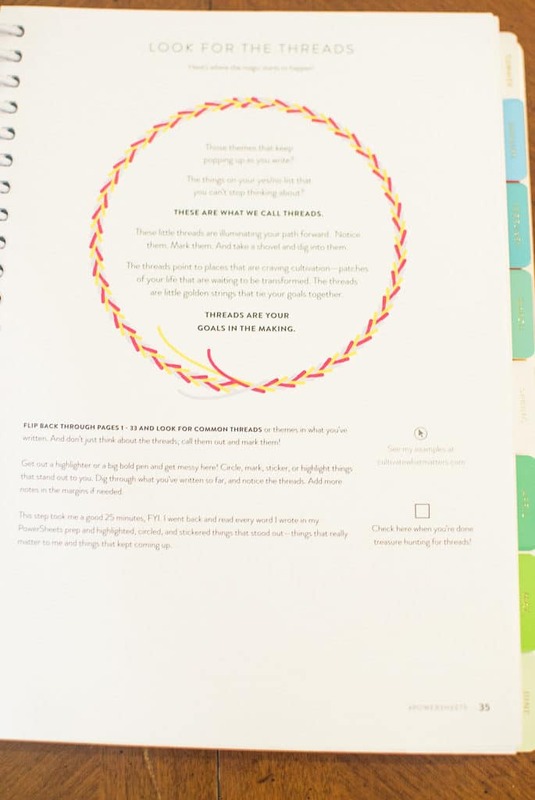 They even have a handy color chart to help you decide which gorgeous cover you’ll use! I chose the Multi colored cover, but I was leaning towards teal like crazy! This Page!!!! Y’all. 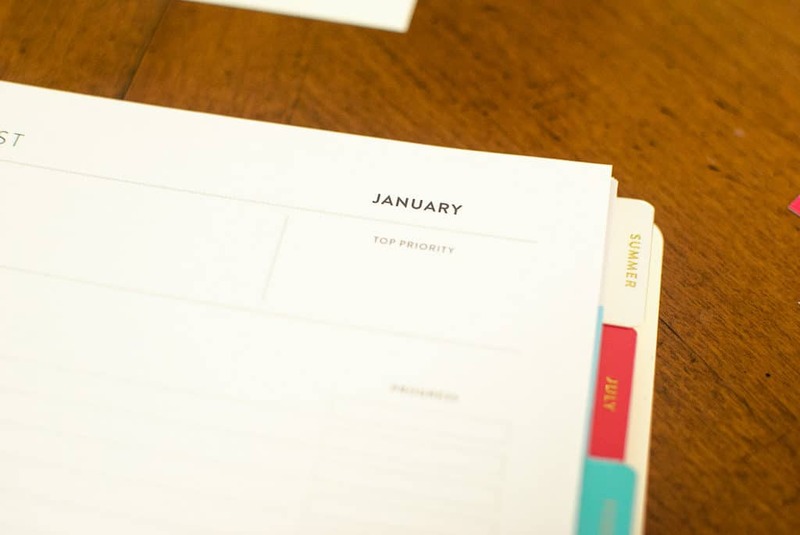 After you’ve worked on your prep work, you’ll notice patterns and trends… or, THREADS of what you really need to focus on. 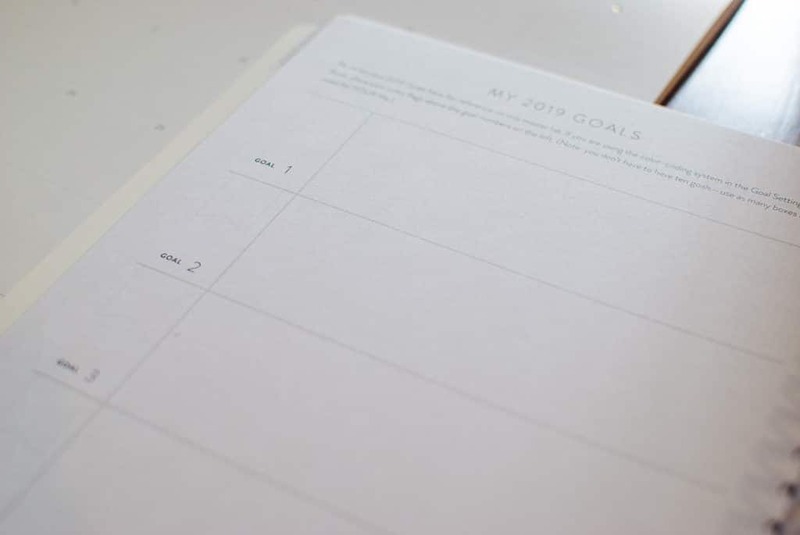 This is a new way of looking for your purpose-filled goals, and I am PUMPED to use it! The overall goal section is similar, but, you can’t really tell in the photo…. There are little banner flags above each goal number <—- Which you can then use the color coded banner flags in the sticker book to color coordinate! What?! Be still my color coded heart! And! At the top of each tending list, you have a TOP PRIORITY. 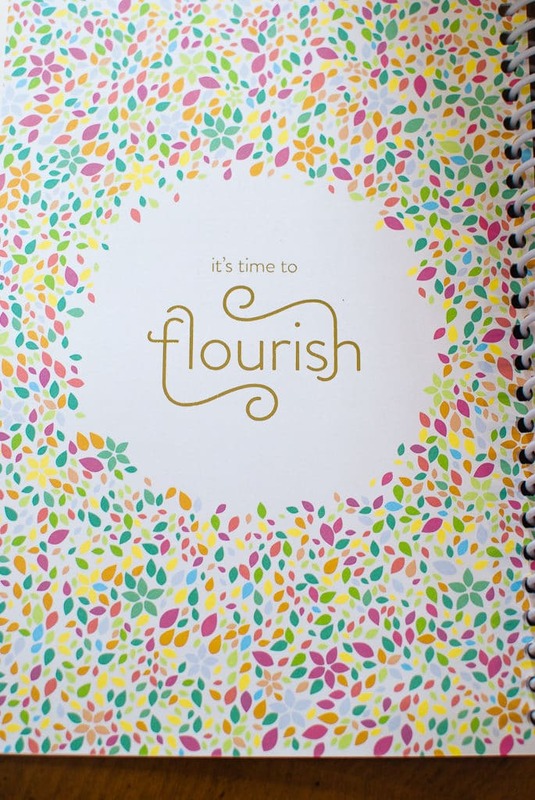 There is always something that is the most influential each month…. Love this addition! They have an amazing deal this year with the one year binder! The Best Year Bundle is what I’ll be ordering this morning at 10am! That cute little zippered pouch?! And the tending tape, and actual Wild Card pages?! Yes, please! Click on this image below to choose your colors! The whole bundle is $89, 20% off all the items together! Win! Win! Alright, y’all! 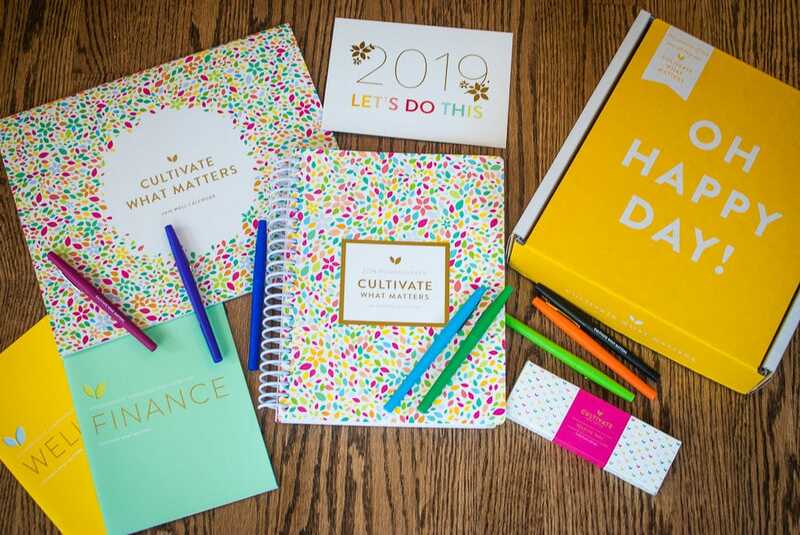 Order all the beautiful things, and let’s get cultivating purpose-filled goals for 2019, together! If you send me your receipt from your order (either through my link, or not!) 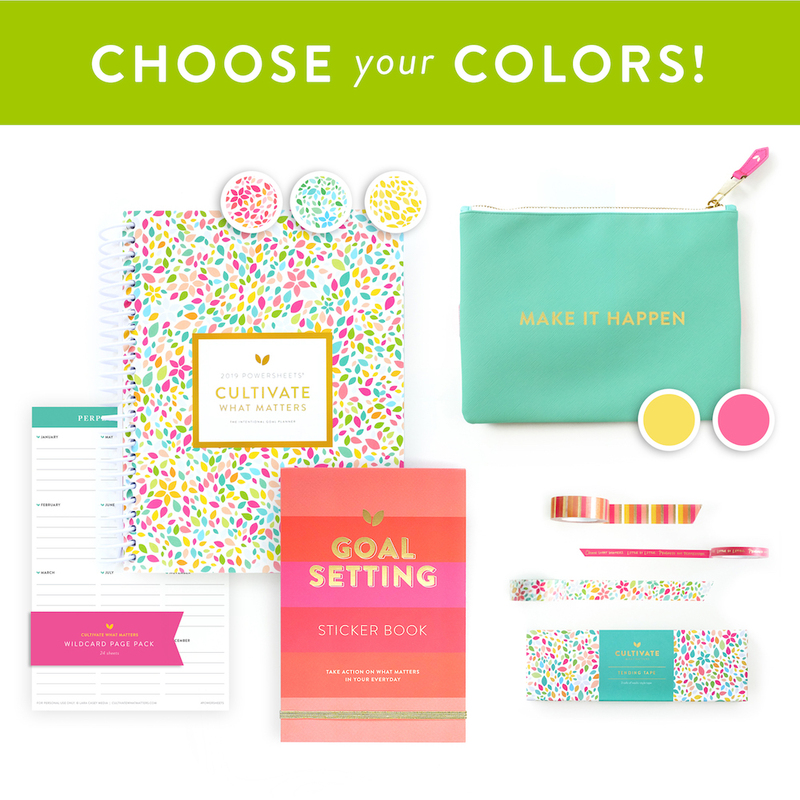 I would love to send you a folder of printable goodies! 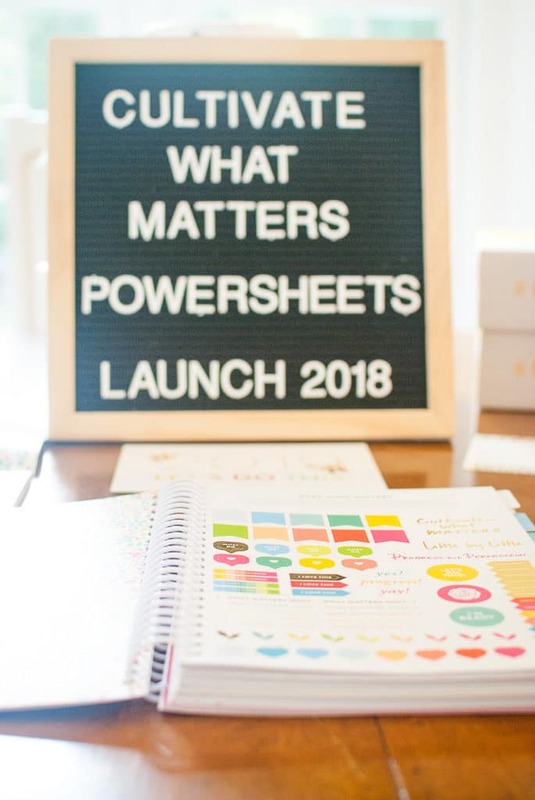 A game plan for hosting your very own Powersheets Prep Party, and a checklist of my favorite accessories. « Powersheets Tribe Prep Party!